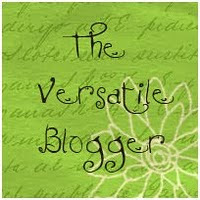 I've been awarded the Versatile Blogger award. Cool. However, there are 4 rules to getting this. Okay so here goes. 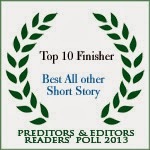 First, thank you so much to the lovely Lea Schizas who nominated me for this. :-) Now 7 things about me. Let me think...hmm. Can you see the smoke coming out my ears? 1: I am the pet of two kitty cats. You didn't really think they were my pets did you? 2: I am severely epileptic. 3: I seriously dislike people who feel it necessary to denegrate others. 4: I finished high school two years early. I graduated when I was 16. 5: I used to work as a corporate auditor. I was good at it but hated it. 6: I'm allergic to Tide detergent. I've never outgrown this particular allergy. 7: I'm a HUGE Alexander Skarsgard fan. That guy is HAWT! Okay now 15 people to get this award. In no particular order, here they are. 1: N.J. Walters - She's my writing hero. 2: Angela Kay Austin - First guest author I ever had on my blog. 3: Kaye Manro - One of my dearest friends. This lady is a gem. 4: Natalie Dae - What an awesome author. And she's so generous. 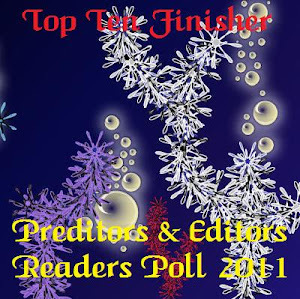 5: Missy Lyons - She's a great writer and an amazingly talented cover artist too. 6: R.G. Alexander - This lady is a hoot! 7: Anny Cook - Probably one of the sweetest people I know. 8: Laurann Dohner - A woman who has been through a lot of the same things I have gone through. 9: Marsha A. Moore - This lady can write well and is an incredible artist. 10: J.A. Saare - What can I say? I adore her! 11: Honoria Ravena: She's always got me cracking up. 12: Eve Summers: This lady has been such a blessing to have as a friend. 13: Amber Leigh Williams - She's a great lady and always funny. 14: Adelle Laudan - She's an amazing writer and so sweet. I just love her. Now I'm off to tell them they have been hit. LOL. I think you should get an Alexander Skarsgard tattoo then you wuld always have him with you. Aww thank you Kat. I will try to do this! Gotta think!